Entrepreneurs often speak about freedom, but few manage to achieve it. How can you gain your free time back as a business owner? How does working less affect your business mindset? How can you block negative or doubtful thoughts? 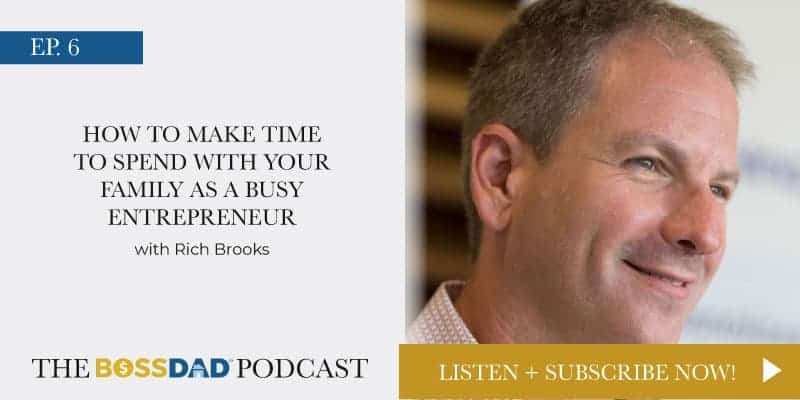 In this episode, Rich Brooks shares how he made time for his two daughters while leading a business. There is nothing keeping you from making that choice of spending more time with your kids. From the beginning, it’s important to set your schedule around your family. This way, it’s easier in the future to make time for the important events in your children’s lives. One of the advantages of being an entrepreneur is that even though you might work more than a 9-5 employee, you can also learn to work less. It is possible to become more productive and be able to take days off to spend with your family. Forcing yourself to make the decision of taking more time off to spend with your family will influence your hiring decisions. You may find yourself more likely to hire people who are self-starters and are capable of getting things done. You’ll see the value of employees who can come up with new ideas and bring more revenue to your company without you having to be there all the time. Anyone who is successful struggles with some self-doubt. Reframing and meditation can help you block the inner critic and enjoy life as it is. When you are working less, you are forced to become more productive and find people who don’t require much guidance. As a parent and a business owner, it’s crucial to find self-starters and people who can come up with new ways to make your business grow. If you want to make more money while working less, you have to find people who are willing to go the extra mile for their success and, ultimately, yours. Rich Brooks is a digital marketing & social media consultant, author, and the founder of flyte new media & The Agents of Change. He’s been leading a company for over 20 years, and along the way he’s produced content and managed for Social Media Examiner. You can find out more about Rich at https://www.takeflyte.com/about/staff. Go to www.theagentsofchange.com and enter the promo code BOSSDAD to get $25 off any ticket!